A study has found that many osteoarthritis patients who receive knee replacements had increasingly severe symptoms in the months leading up to their surgeries. 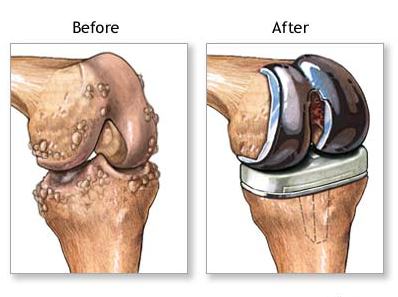 Knee replacement (also known as total knee arthroplasty or TKA) entails replacing the joint with metal or plastic prosthetic devices. Orthopedic surgeons sometimes recommend the operation as the best option, when the pain and stiffness of knee arthritis makes walking and other everyday activities difficult. The multicenter study, reported by Daniel Riddle and William Jiranek of Virginia Commonwealth University in “Osteoarthritis and Cartilage,” was the subject of a recent Medpage Today article. The research indicated that nearly a third of those who had TKA “experienced rapid disease progression and worsening of osteoarthritis symptoms” during the two years before their operations. The patients’ Kellgren and Lawrence grade became worse in 27.4 percent of the cases. That was true for only 6.6 percent of knee osteoarthritis sufferers who did not have TKA. The grade’s four-part scale measures the extent of symptoms. Grade 1 is “doubtful narrowing of joint space.” Grade 4, identified in the most extreme cases, involves “large osteophytes (bony outgrowths), marked narrowing of joint space, severe sclerosis (abnormal hardening of body tissue) and definite deformity of bone contour.” The researchers noted that 45.6 percent of knees with grades lower than four exhibited “radiographic progression.” The patients’ WOMAC function and Knee Injury and Osteoarthritis Outcome Scores (KOOS) confirmed that symptoms can intensify before TKA. Patients who did not undergo knee replacements saw their scores stay the same or improve during the two-year period. The two measurement methods assess the degree of knee pain, stiffness and function. Medpage Today pointed out that “these findings run counter to the traditional suggestion that knee osteoarthritis is a slowly progressive disorder.” The authors of the study wrote: “This high rate of radiographic worsening, and associated pain and functional status worsening, in our view, likely contributes to surgeons’ recommendations and patients’ decision to opt for TKA.” They called for additional research, explaining that “the path toward TKA for persons with osteoarthritis is an understudied and relatively poorly understood process.” The researchers used data from the Osteoarthritis Initiative (OAI) and the National Institute of Health to arrive at their conclusions. They examined the records of nearly 5,000 patients who were enrolled in OAI. Of those, 167 underwent TKA. X-rays and other diagnostic tests were performed for five years, before and after the patients’ surgeries. 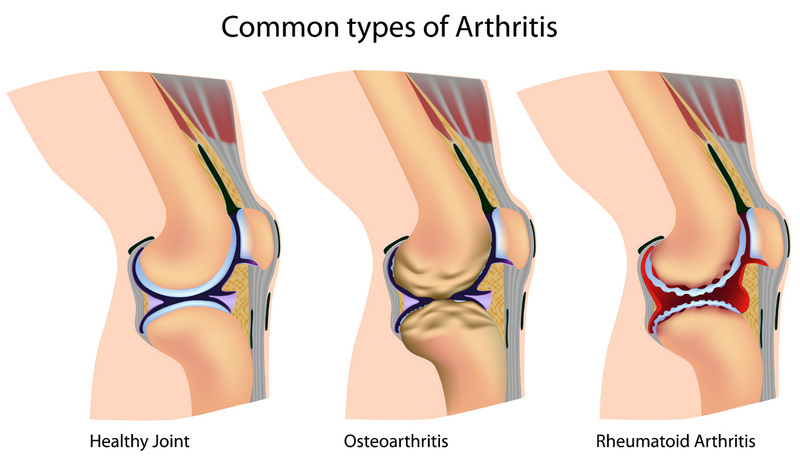 Osteoarthritis is the most common form of knee arthritis, according to the American Academy of Orthopaedic Surgeons. 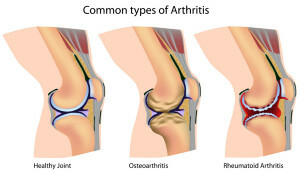 The organization describes the condition as “a degenerative, wear-and-tear type of arthritis that occurs most often in people 50 years of age and older, but may occur in younger people.” Cartilage that cushions bones in the joint gradually deteriorates, becoming rough and frayed. That decreases the space between the bones, resulting in them rubbing against one another. Bone spurs sometimes develop, causing additional pain. If you have knee pain and stiffness, the best thing to do is get a diagnosis to determine whether you have osteoarthritis. 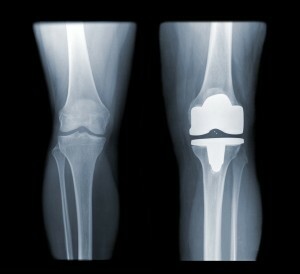 Treatments ranging from medications to knee replacement (total knee arthroplasty) are available. Schedule an evaluation by the sports medicine staff at Orthopedic Surgery San Diego to learn about your options.